Everyone knows that feeling we get when we do something for someone else. It’s that feeling you get when you’ve lent a helping hand to someone in need. It’s that feeling you get when you give just for the sheer joy of seeing someone else a little happier. It’s that feeling you get when you’ve made someone smile. 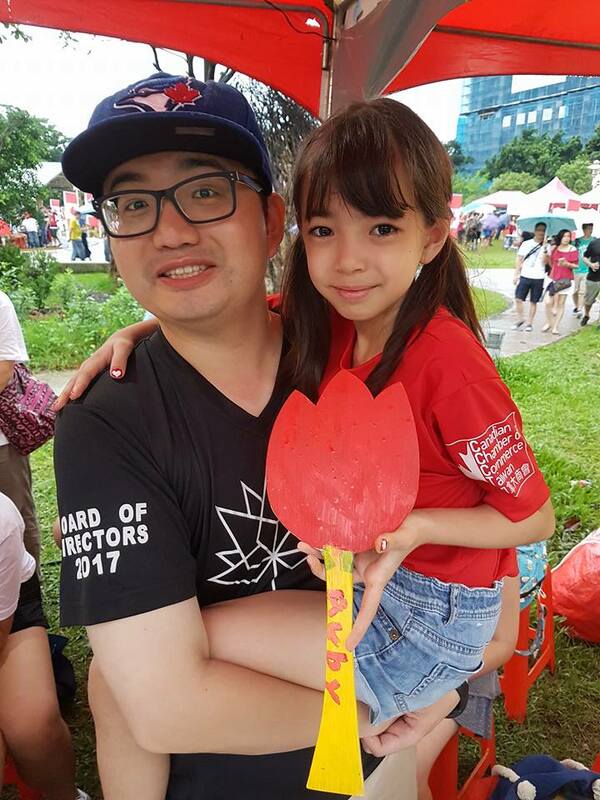 The Canadian Chamber of Commerce in Taiwan (CCCT) has always aimed to help others. So did our predecessor, The Canadian Society in Taiwan. Our non-profit organization is comprised of an all-volunteer Board of Directors and Supervisors. 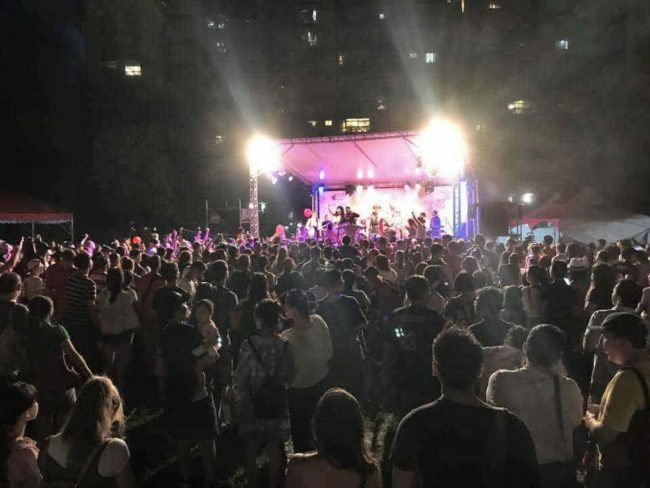 The events that we host benefit all communities in Taiwan, not just Canadians. Perhaps we’ve never told you about the charities we support, which is what prompted this article so close to our Thanksgiving holiday and the season for giving. We want to thank everyone who has supported us in the past. We also want to tell you a little more about why we are asking for your help and where your membership money goes when you become a member of the Canadian Chamber of Commerce in Taiwan. In addition to doing our best each day to meet our mission statement: To promote goodwill and understanding between Taiwan and Canada, we are a Chamber with a staff of one. The money we earn at our events helps to pay for the Chamber’s overhead costs. 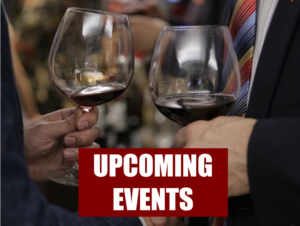 The rest of it – a considerable amount – is pumped back into our community to bring further events to you – our members and supporters – which include small business events, business luncheons, Dragons’ Chamber Taiwan, Canada Day, our annual Maple Charity Gala, our cemetery committee, and much more. The CCCT supports several charities in Taiwan. We also offer a number of free events for our members and for friends to join throughout the year. 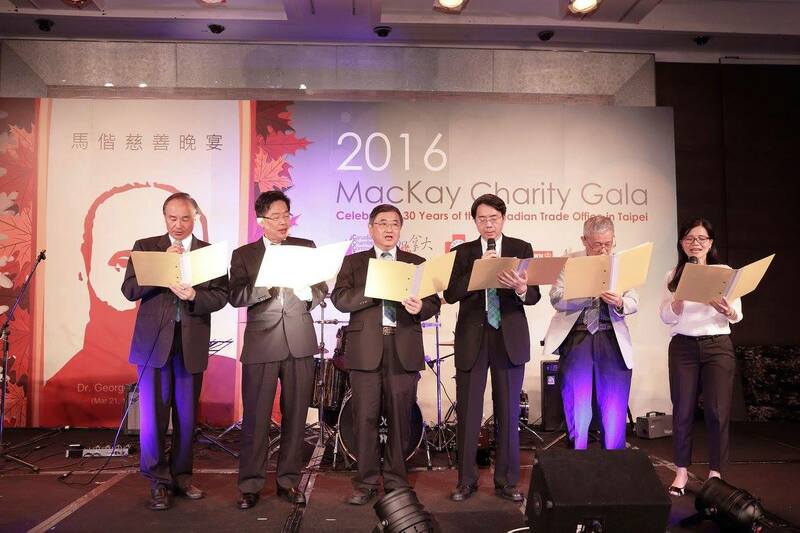 Over the past two years, our team has raised over NT$750,000 for the MacKay Memorial Hospital’s Children’s’ Ward. 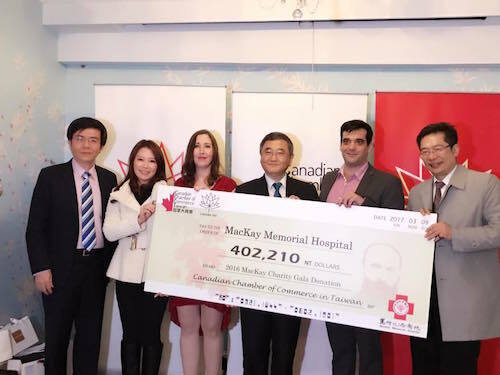 In 2016, the CCCT was able to give MacKay Memorial Hospital over NT$400,000 through the generosity of our sponsors and guests. Now imagine if we could do something bigger. In 2017, we are working with MacKay Memorial Hospital once again to help them open a new Bone Marrow Transplantation Ward for children in the Children’s Wing. We are aiming to bring that total over the past three years to over one million NT on November 4th, 2017 at our 3rd Annual Maple Charity Gala. The Danshui (Tamsui) Foreign Cemetery has been under the care and guardianship of the Canadian Chamber of Commerce for many years. We help this beautiful historic site in Taipei by providing for its care and upkeep. Our CCCT committee for the cemetery is headed by Mr. Anthony van Dyck and Mr. Pierre Loisel Sr. Thanks to their hard work and efforts, along with other outstanding members of our community, they have been successful at maintaining the cemetery, but there is still work to do and a goal to be met. For the past two years, several committees that are chaired by our Board of Directors and Supervisors at the Canadian Chamber of Commerce in Taiwan have been working hard to raise NT$300,000 to safely remove some trees from the cemetery without risking the graves and headstones. The CCCT’s Cemetery Committee, Small Business Committee, and Canada Day Committee all brought in money in 2016 and 2017 to help with this goal. We’re almost there, thanks to the hard work and dedication from our committees, members, and friends. Last year, with your help and thanks to the exceptionally kind sponsorship of Jeou Nien Construction, we were able to replace the door to the cemetery which was in a serious state of disrepair. This year, we need help with cemetery to ensure that the graves are left in peace. 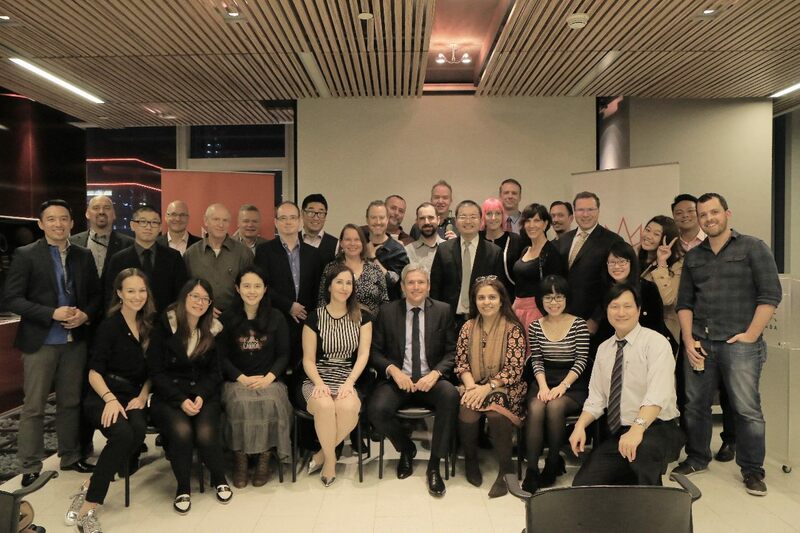 Giving has no strict definitions with the Canadian Chamber of Commerce in Taiwan. You can give your time, your money, your support by sharing our events, and your advice. The only thing we really want to define with giving to the CCCT is that we are creating a positive ripple effect throughout all communities in Taiwan. 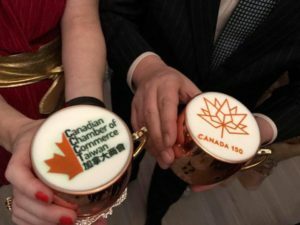 How Can I Give to The Canadian Chamber of Commerce in Taiwan? First of all, the easiest way to give is by becoming a member. It’s a NT$1,000 option that gives you free access or cheaper access to all our events. Your membership helps with the upkeep of the Chamber and its missions. 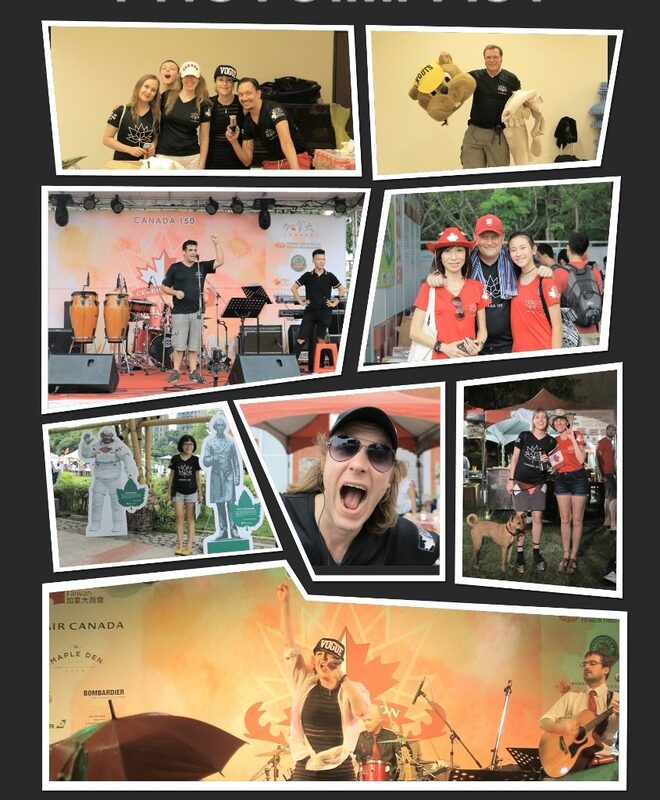 Your membership money, along with the kindness of our generous sponsors and our guests, also helps us bring you the largest Canada Day celebrations in Asia. It’s a free all-day festival of Canadian delights and Canadian music. 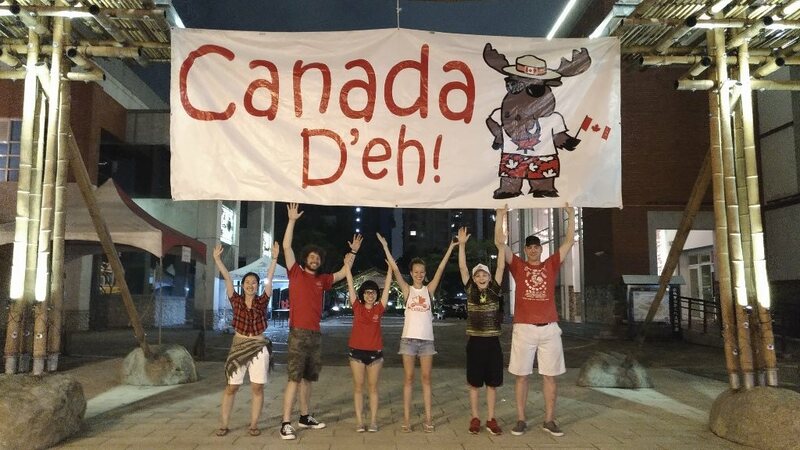 Celebration Canada, also known in Taiwan as Canada D’Eh, has been taking place in Taiwan for many years. This event alone draws between 6,000 and 8,000 guests each year. 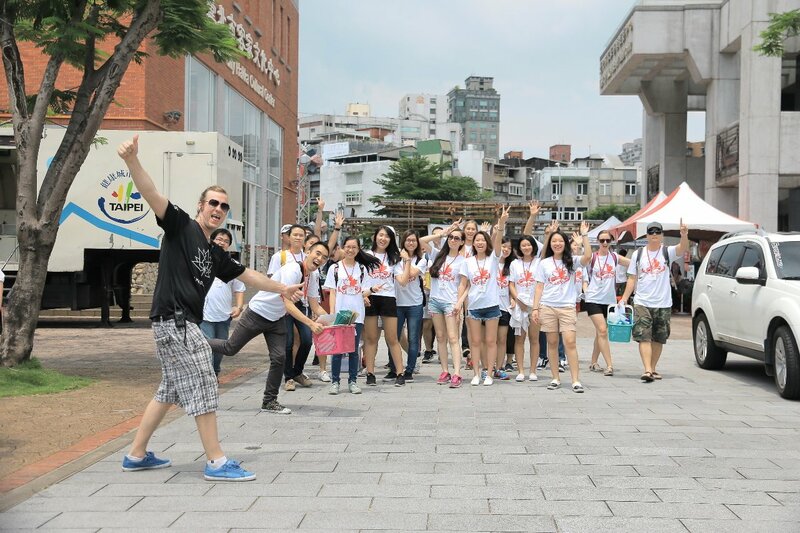 Our whole Board and an entire team of volunteers works exceptionally hard to bring this event to Taiwan each year – an event that all communities in Taiwan can come and enjoy. We are a community of people, not just Canadians, that strive to have a great impact on those around us. By becoming a member or purchasing raffle tickets or attending our events, you’re helping us give back to the community. You’re helping us by supporting further events that will benefit others in our global community. Just a few Canada 150 Volunteers with Director of Volunteers, Mr. Steven Clark. It is easy for all of us here to think of ways to make money for ourselves or how to manage our finances, but we often forget that some times the best reward is by helping to give back to the community that gave to you. Giving back to those in need is an act of kindness that can turn your awful day, week, month or year into something a little more meaningful. If you can’t afford to give away money, you can give your time like our volunteers do every summer at Celebration Canada, or you can join a CCCT committee and volunteer your time at our events. If you can’t afford to give away time, consider purchasing a raffle ticket at our next event or simply donate to the Chamber to help us help you. If you can’t give your time or money, you can give by helping us raise awareness for our events on the CCCT Facebook page or through our website. Help us to spread awareness for some of our causes so that we can continue giving back to our communities. There are so many different ways you can help us give back. This is a way that all of us can feel proud about what we are accomplishing in Taiwan each year. We hope it makes you feel good. We hope it lets you know how it makes us feel to be able to offer you our events and that you know you are supporting good causes in a number of different ways. We want you to know that you make us feel good when you support our causes, and we hope to see more of you out in 2018. 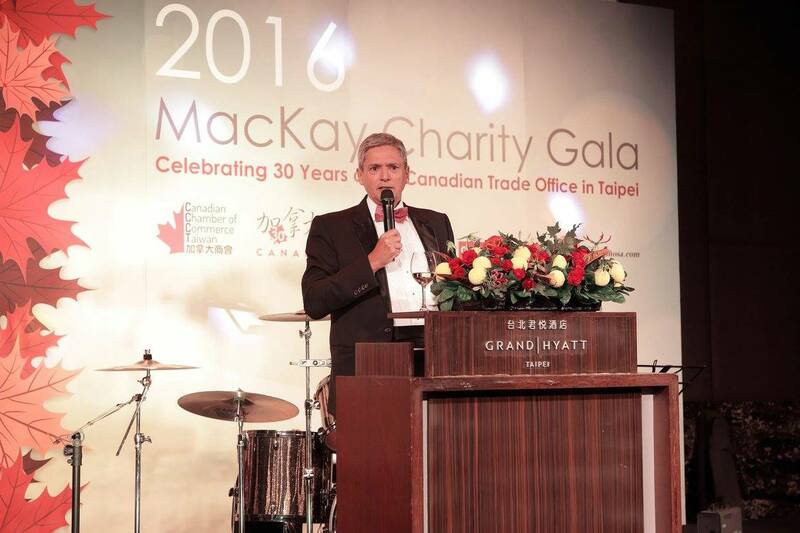 Mr. Mario Ste Marie, Executive Director of the Canadian Trade Office in Taiwan addresses our guests at our 2nd Annual MacKay Charity Gala. In 2016, we celebrated CTOT’s 3oth anniversary in Taiwan. As a partner and parent organization to the CCCT, we could not be prouder to be working with the CTOT team on many events throughout the year.